Debra D. Schnelle retired US Army Officer and medical planner notes to members of Congress at the Blue Ribbon Study Panel on BioDefense, Feb 2019, that the US Navy Surgeon-General’s Office has stated that Neuro Cognitive Weapons which could induce advanced Alzheimer’s in a matter of days constitute an emerging biological weapons threat in the operational battlespace to US soldiers, producing of bio-effects which as of date the US military health system does not know how to advise doctors to treat or roll back. The full video, streamed live on Feb 5, 2019, by the Blue Ribbon Study Panel on BioDefense is here. Note from CGSR: Lawrence Livermore National Laboratory’s Center for Global Security Research (CGSR) sponsored this talk entitled “Brain Science from Bench to Battlefield: The Realities – and Risks – of Neuroweapons” by Dr. James Giordano on June 12, 2017. Dr. James Giordano is Professor in the Departments of Neurology and Biochemistry, Chief of the Neuroethics Studies Program, and Co-director of the O’Neill-Pellegrino Program in Brain Science and Global Health Law and Policy at the Georgetown University Medical Center, Washington, DC. He is a Senior Researcher and Task Leader of the Working Group on Dual-Use of the EU Human Brain Project, and has served as a Senior Science Advisory Fellow of the Strategic Multilayer Assessment group of the Joint Staff of the Pentagon. 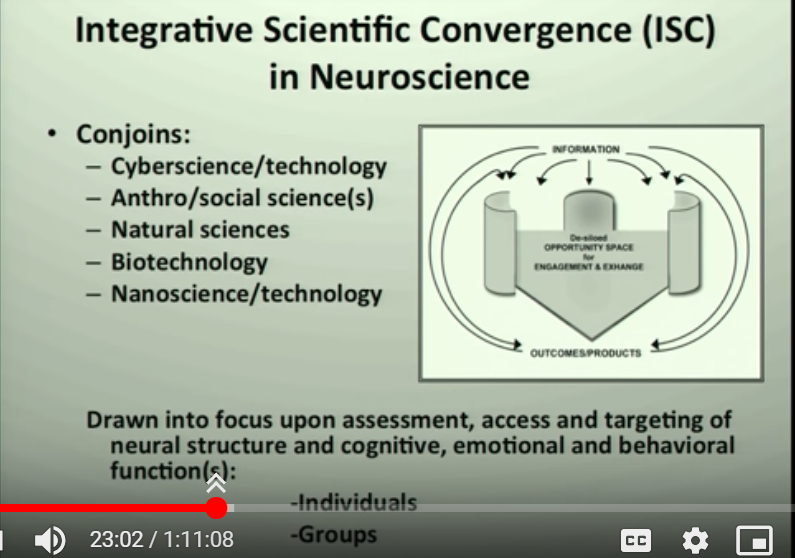 This recorded talk offers open public disclosure on the current military studies of targeted individuals’ brains, the intimate realities of neuro surveillance, neuro monitoring, and neuro modification, and the extraordinary capabilities today of weaponized neuroscience. From NCASView: James Giordano, a neuroscientist and neuroethicist, is Professor of Integrative Physiology in the Department of Biochemistry, and Chief of the Neuroethics Studies Program in the Center for Clinical Bioethics, at Georgetown University Medical Center, Washington, DC, USA, and CL Clark Fellow in Neurosciences and Ethics on the faculty of the Human Science Center of Ludwig-Maximilians Universität, Munich, Germany. James Giordiano describes the state of the art in public-domain neuroscience today as being employed in the areas of neurosurveillance and neuromonitoring and presents the unethical researcher’s point of view of needing to probe brains (to prevent crime!) while paying lip-service to the need for exercising ethical restraint, which it appears none of the neuroscientists engaged in this enterprise have engaged in thus far. 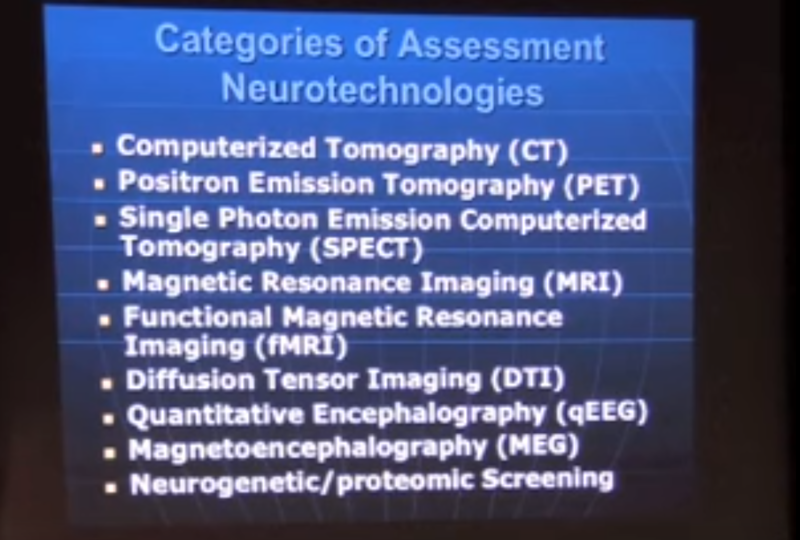 Neuroscience and Neurotechnology is being used by the Department of Justice today in conjunction with the Department of Defense for predictive purposes, as per military neuroscientist James Giordiano.